Hot on the heels of last year’s incredible 80 date UK and European tour, this year already Daniel has toured the US, made his New York season debut with a smash-hit run of performances at the legendary Soho Playhouse, followed by a sold out 2 month tour in Australia and New Zealand, and performed another record-breaking Edinburgh Fringe season at the huge Conference Centre! Daniel has sold out 8 consecutive Edinburgh Fringes! His TV credits include no less than five appearances on Conan O’Brien, Sunday Night at the Palladium and Russell Howard’s Good News. He co-created, wrote and co-starred in Scottish Comedy Award-winning online sitcom M.U.F.F, gave a TedX Talk when he was just 19, released a live DVD and is working on his own pilot for Hollywood’s Warner Brothers Studios. So…? So, now Daniel now makes a triumphant return to Europe with his brand new show So? 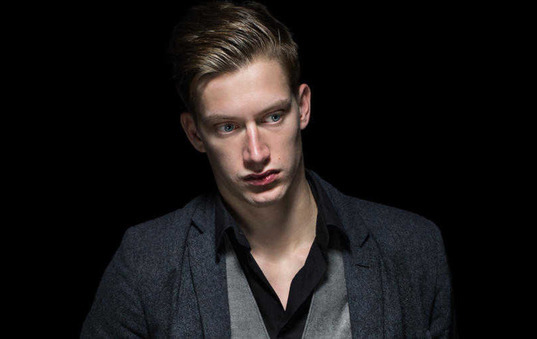 Don’t miss the stunning new show from Scotland’s internationally acclaimed and award-winning comedian Daniel Sloss! Daniel is bringing Kai Humphries as his support act, a happy-go-lucky, supremely funny and truly loveable Geordie comedian. His infectious enthusiasm and high-octane delivery of genuinely hilarious and delightfully optimistic material has seen him rapidly shooting up the professional comedy ranks.